HENDERIKSE, Jan. Broadway. New York/Rotterdam: Jan Henderikse/Uitgeverji Bébert Edition, 1983. Oblong 4to. ; long accordion foldout illustrated in b&w throughout; housed within printed cardboard covers; string-tied, with Manhattan bus map inserted. Near fine. 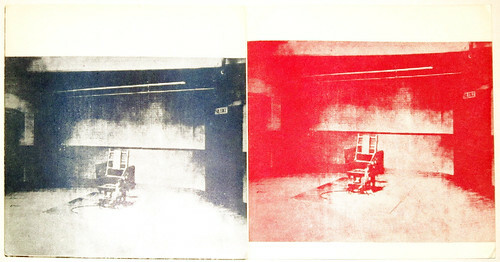 Andy Warhol. Buenos Aires: Galeria Rubbers, 1965. 8vo. 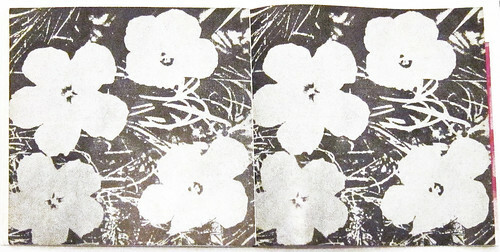 ; three unbound leaves folded together; monochrome screen-print illustrations. First edition. This slender pamphlet is a very scarce early Warhol publication which accompanied one of his first solo exhibitions, held in Buenos Aires from July 29th to August 14th, 1965. The film Thirteen Most Beautiful Women was shown concurrently at Cineteca Argentina. The exhibition followed his first Sonnabend show in Paris by only a few months and was part of a surge of international exposure for Warhol in 1965. Leo Castelli had by then mastered the art of combining the international promotion of his artists with the interests of American cultural ambassadorship and this exhibition was organized under the auspices of the U.S. Department of Culture and Information, which helped produce this slender but lavish catalog in which the images reproduced are beautifully screen-printed throughout. The show is also evidence of Buenos Aires’ flourishing contemporary art scene in the mid- to late 60s. In fact the city was home to some of the earliest Conceptual Art exhibitions held anywhere when Sol Lewitt, Lawrence Weiner and others produced exhibitions and artists’ books for CAYC (Centro de Arte Y Communicacion). This period of cultural cosmopolitanism coincided with a brief era of moderate civilian-led governments but largely came to an end (or went underground) with the political unrest and ‘dirty wars’ that beset Argentina beginning in the early 70s. First Edition. 4to. 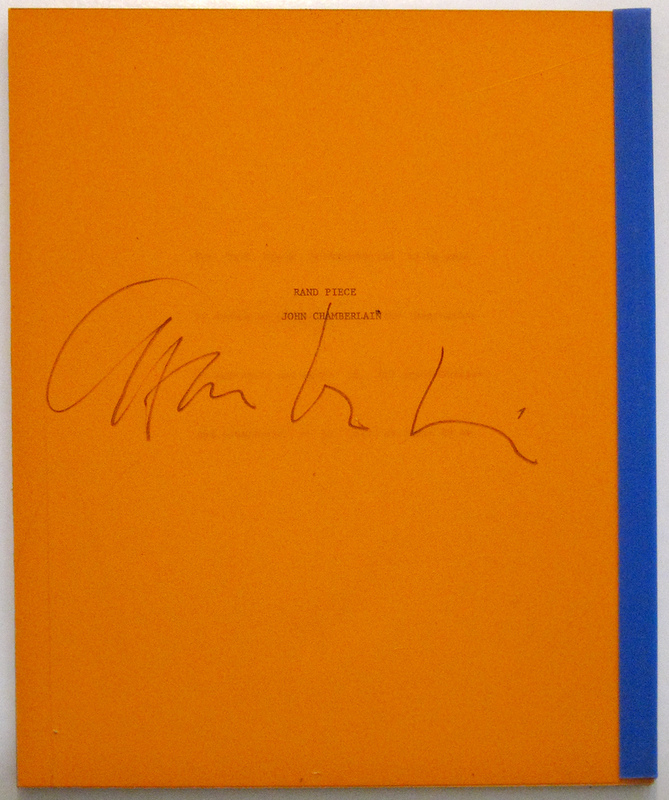 ; Thirty-five loose 8 1/2 x 11 inch sheets printed offset, recto only, in translucent orange plastic covers and blue plastic clamp spine as issued. Fine. 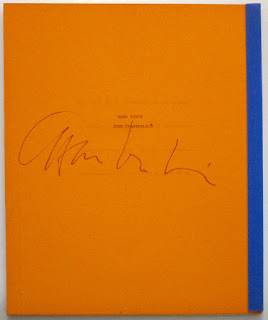 Signed by John Chamberlain on the final page. RAND Piece began as Chamberlain's contribution to the historic 1971 Art and Technology exhibition at the L.A. County Museum of Art. The piece is a questionnaire consisting of both 'questions' and 'answers' that Chamberlain composed and handed out to employees of The RAND Corporation, the Southern California think tank where he briefly worked in residence. While there Chamberlain developed a number of ideas for a collaborative work with RAND as part of the Art and Technology project but he was ultimately frustrated by the differences between his own artistic practice and RAND's methodologies. RAND Piece reflects the philosophical divide which persisted (and, if anything, increased) throughout his residency. The questions themselves sometimes allude (however ambiguously) to technological issues, but others are non sequiturs, riddles, or language games. With this book Chamberlain, an artist best known for massive sculptures in crumpled metal often thought of as a kind of three-dimensional abstract expressionist, shows a kinship with such Conceptualists as Robert Barry, Lawrence Weiner and Joseph Kosuth, whose de-materialized, text-based work derived from philosophy and often dealt with the possibilities and limitations of language. The RAND Corporation was culturally prominent in the 60s and 70s—Kubrick satirized it in Dr. Strangelove, Joan Didion writes of its conservative cachet in The White Album. Its studies were often funded by government programs and so despite its ostensibly objective intellectualism and relaxed Southern California setting, the RAND Corporation was considered by many, especially on the left, to be a sinister organization populated by the best deep-thinkers the military industrial complex could buy. It is in this context that Chamberlain’s piece resonates. His approach, which was intentionally confounding, emphasizes the limits of technology and human understanding and thus frames the RAND Corporation’s blandly authoritative intellectualism as hubris. 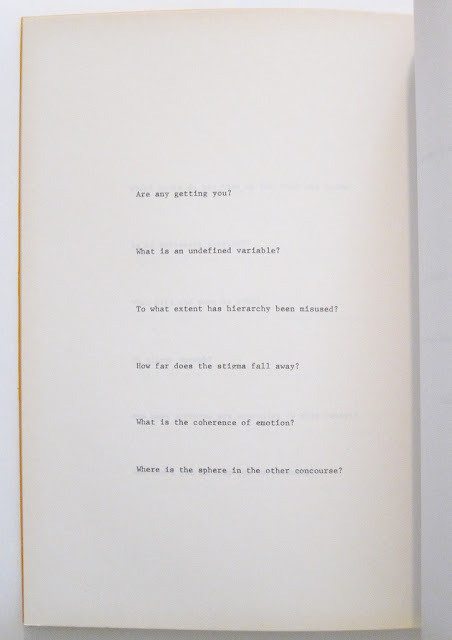 RAND Piece was mounted on the walls during the LACMA Art and Technology exhibition and Chamberlain subsequently self-published a very small edition of them to be distributed among the RAND participants. Surviving copies are truly rare.